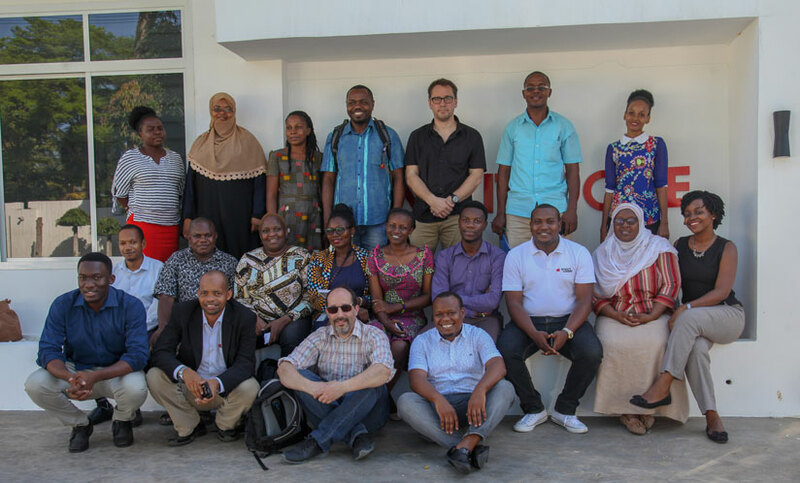 Smart Lab hosted a design workshop with Turku University at Smart Lab offices in Mikocheni A, Dar es Salaam on March 18th, 2019. This workshop was part of the week-long series of workshops that Turku University hosted in different hubs in Dar es Salaam with an aim to build the capacity of Tanzanian university faculty members, particularly in innovation and entrepreneurship. A total of 24 participants attended the workshop including 3 university faculty members from Turku University, 15 faculty members from different universities in Tanzania, including Ardhi University, Sokoine University of Agriculture, State University of Zanzibar, University of Dar es Salaam and 6 facilitators from Smart Lab. The workshops took place in a span of 5 days from March 18th to March 22nd. In the first four days, the faculty members spent full days at four different hubs in Dar es Salaam where they were posed with real-world business and technical challenges facing some startups in these hubs and they were challenged to find solutions to these problems and they lastly met at Buni hub to conclude and suggest ways in which universities and the innovation ecosystem could better work together. The entire trip during the week was as follows, Smart Lab, Mikocheni A – Monday, Ndoto Hub, Msasani – Tuesday, Sahara Ventures, Kinondoni B – Wednesday, Twiga Alpha, Mbezi Beach – Thursday, and finally Buni Hub, Sayansi on Friday. Faculty members and participants were excited with the experience citing the varying environments and challenges as motivations for the workshops “The project is about capability building for faculty members, educating teachers as one of the big themes and innovation and entrepreneurship which was my role in this project” - Antero Jarvi, Lecturer, University of Turku. “I got a chance to share my ideas and to learn a lot of things about innovation, to create solutions for the problems that are existing in the society has been a pleasure, it’s worth sharing with others” - Theofrida Maginga, Lecturer, Sokoine University. Some of the challenges that universities face that limit them from being more supportive towards innovation include bureaucracy, student attitude towards entrepreneurship, limited space/resources to implement projects, the lack of understanding of the importance of startups to universities, lack of hands-on teaching and rigid regulations. Hubs should become a focal point for the research that is conducted at universities because usually, this research has real-world applications that the innovators are working on. Entrepreneurs should be welcomed at universities as showcases for the courses that directly relate to them. Universities should prepare students to be ready for entrepreneurship by the time they leave school to join hubs so that hubs don't have to start training them from scratch. One way to do this is by building hubs at universities. Students who have an entrepreneurial mindset should also be encouraged to work at startups during their practical training so that they may gain entrepreneurial skills early on. Receive free updates about all upcoming events and programs, tips, mentor advice and new trends in the tech community direct to your inbox.